Chorizo is a great ingredient that I never really started using until I came to Australia. For some reason I seem to encounter it a lot more here than I ever did in the States. When you get it from the supermarket it’s usually pretty inexpensive if you don’t use too much. I’d have to say my favourite chorizo recipe is creamy pesto pasta with sliced chorizo and roasted cherry tomatoes (a simple but delicious recipe my boyfriend and I came up with). But this easy salad is a close second and it keeps really well for work-day lunches. 1. 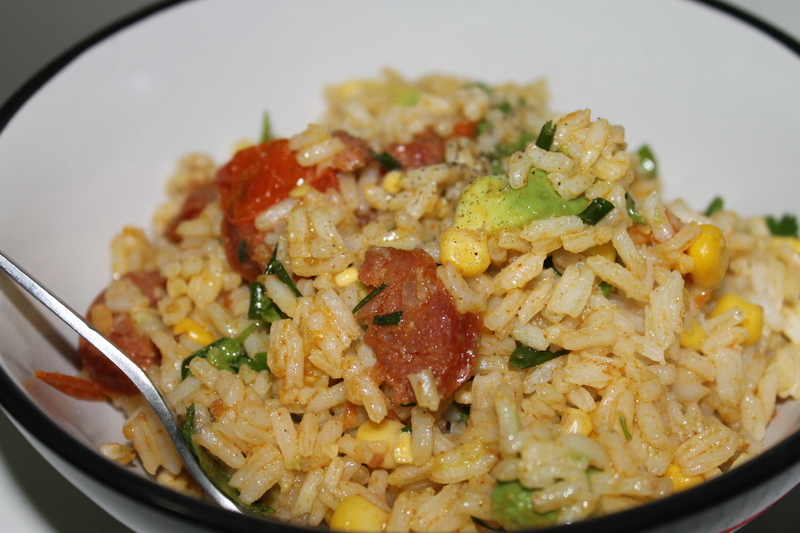 Cook chorizo in a frying pan for 3-4 minutes until slightly browned. 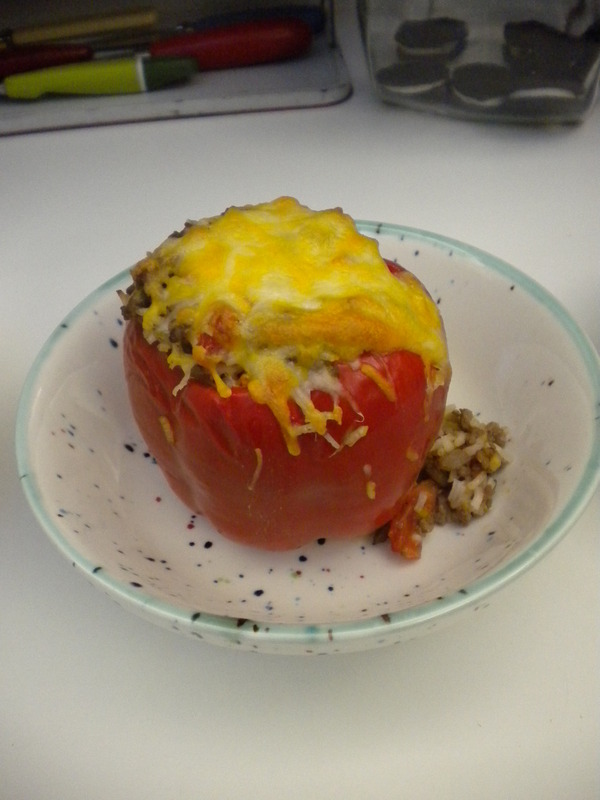 Add tomatoes, cook 2 minutes to warm through. 2. 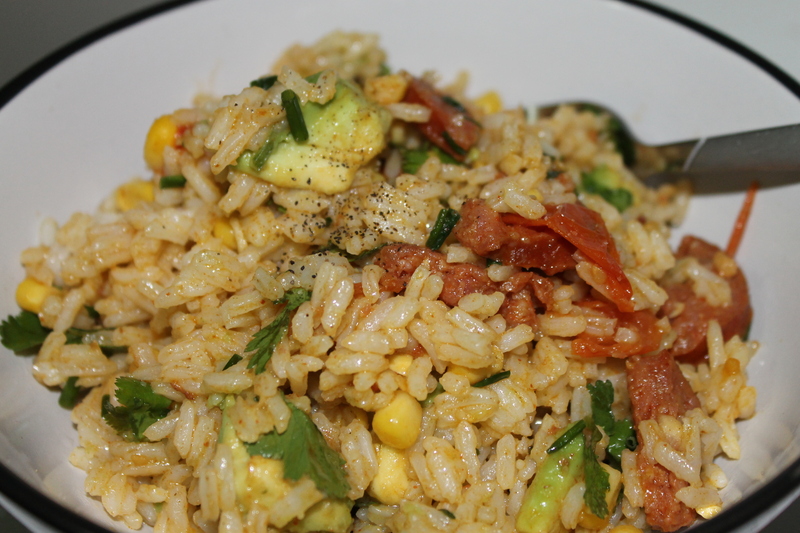 Combine rice, chorizo and tomato, corn, avocado, coriander and chives together in a large bowl. 3. Combine dressing ingredients and toss through salad. Season well with salt and pepper to taste. When I was younger I always thought sangria was the liquid that was made when grown-ups gathered together all the alcohol in the house and poured it into a bowl, put an orange in it, and drank it. 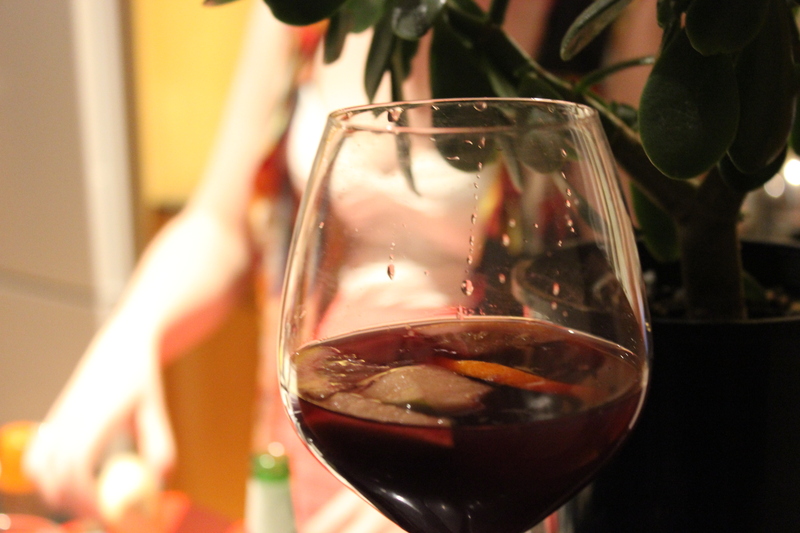 I have no idea why I thought so, but it wasn’t until my teenage years when my parents had sangria in a restaurant and I smelled it and thought ‘Wow, who knew that a sloppy mix of leftover alcohol could smell so good.’ Somehow I finally figured out that sangria is mostly wine and there is actually a formula to it. And being young, I naturally assumed that that was basically all the alcohol in the world. Luckily, making this batch, I did not just run around the house like a crazy alco making some kind of punch that would have knocked me out in one sip. Step 1: In a medium saucepan combine chicken broth, rice, enchilada sauce, and diced onion. Bring to a boil, and reduce heat to low and let it simmer for about 20 minutes or until the rice is tender. Stir in shredded cooked chicken and mix well. Step 2: Heat refried beans in a saucepan over low heat until they stir easily. Heat tortillas in a large skillet or in the microwave so that they fold easily. Step 3: Spoon equal amounts of refried beans onto each tortillas followed by equal amounts of the chicken/rice mixture and cheese. Roll up the tortillas¸while tucking in the sides. Secure the wrapped tortillas with a toothpick. Step 4: Heat oil in a large skillet and fry the filled tortillas, turning once, until browned on both sides. Drain on paper towels. Step 5: To make guacamole- in a medium bowl mash together avocados and lemon juice. Stir in cilantro, green onions, jalapeño peppers, and tomatoes. 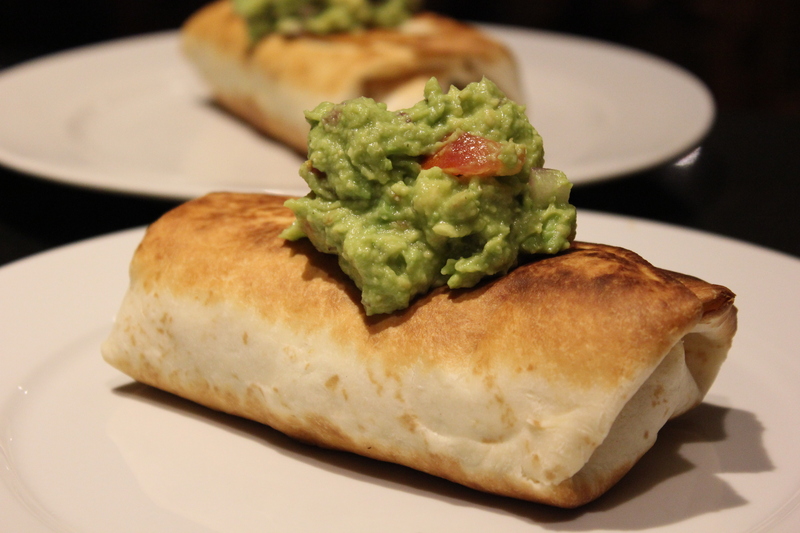 Top chimichangas with cheddar cheese, guacamole and sour cream. Combine all the liquid ingredients, then let the fruit float on top. 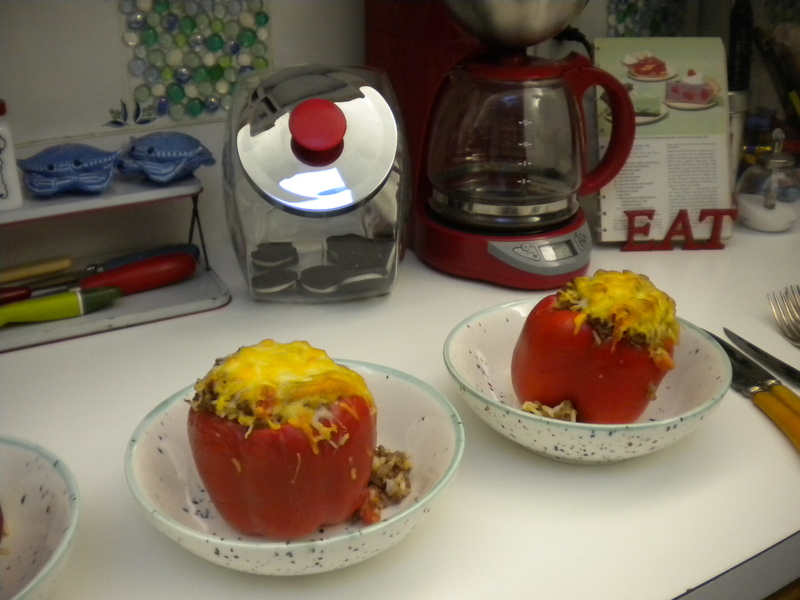 Mix together and then let sit in the refrigerator for at least twenty minutes. Overnight is better but, when there’s sangria around, who’s really gonna wait that long. Serves….well depends on how thirsty you are.